As new shelter plans proceed, advocates worry capacity thresholds will leave many out in the cold. “It all falls on its face when it comes to capacity,” rapper turned activist Ryan J. Parker says. Just off State Street, a shuttered thrift store on 700 South is nearly hidden from street view behind a graffitied screen that's fastened to a chain-link fence. Peek over the barrier or through a gap, and you can see the parking lot. Along its western edge, a row of makeshift tents have cropped up. Another tent consisting of blue blankets and tarps hangs tenuously from a metal gate on the opposite side. As the sun set on a recent Wednesday evening, a colony of rats skitters in and out of another vacant building adjacent to the lot. The sidewalk is painted with pigeon droppings. It's a bleak scene, but in the coming months, the old Deseret Industries outpost will be demolished and construction will start on a new facility. The new structure will change the face of the neighborhood—but homeless people will remain. This is the site for one of three new shelters to be up and running by the summer of 2019. Stakeholders held an open house on Jan. 17 a block north, allowing the public to view the plans and weigh in on the conditional-use application that has yet to be finalized. The tumultuous reaction that occurred when four new homeless shelters were announced in December 2016 has by and large subsided. Partly because the most contested site—one on Simpson Avenue in Sugar House—was pulled. As the plan progresses, though, some remain worried the new shelters—part of a model that mandates the closure of the downtown nerve center—will be forced to turn away homeless folks because of their capacity limits. Glenn Bailey, executive director of Urban Crossroads Center, anticipates real problems if the plan continues to impose a hard cap at three shelters. While the city and county continue to mull the minutia of design, he says, an essential conversation about the risk of leaving people out in the cold has been muted. Currently, The Road Home provides shelter for an estimated 1,100 people on a busy night, but two of the new facilities will reach capacity at 200. The third in South Salt Lake will max out at 300 beds. "We're going to be 400 or 500 beds short," Bailey laments. The idea that access to services will dramatically reduce the homeless population is promising, but wildly optimistic, he continues. Considering the hurdles local governments need to clear before they open a shelter, Bailey argues it would be a waste to nix a spot in the city that is already permitted and zoned as a homeless resource center. He hopes that the downtown shelter remains open, if repurposed, to ensure that no one is left out in the frigid cold or scorching heat. If not, he anticipates a "train wreck coming." 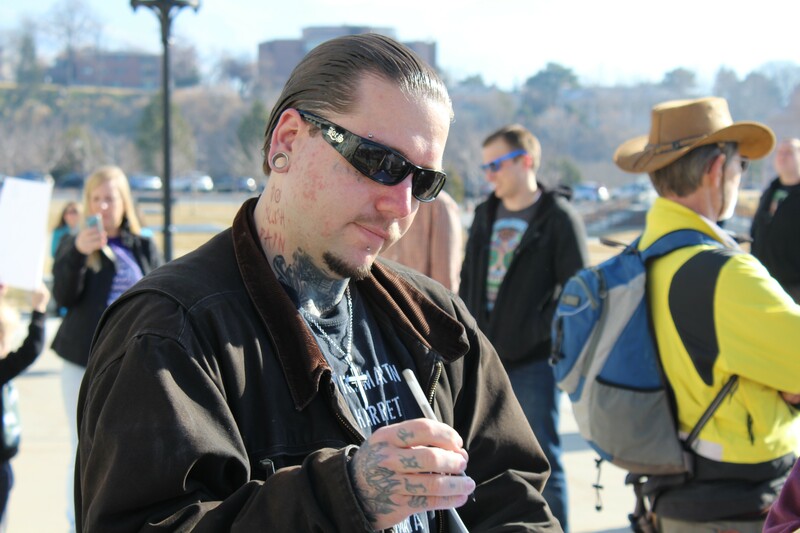 Ryan J. Parker, 28, is a homeless advocate, a musical artist and Road Home shelter employee, who is also making a run for the state senate seat that encompasses the Rio Grande area. He agrees that capacity is a pressing issue and it has remained unaddressed to his satisfaction. "It all falls on its face when it comes to capacity," he says. "These shelters should be an aid to The Road Home; another option." As Parker sees it, the community needs more service options so folks find the right environment that can help them get on their feet. Closing the downtown shelter feels like it's cutting against that idea. 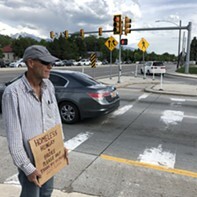 David Litvack, deputy chief of staff for Salt Lake City Mayor Jackie Biskupski, is confident that as long as the city continues to move forward with an affordable housing plan, no one who wants shelter will be left to spend nights on the street. The timeline will remain the same, he says: Construction will start this year and the resource centers are expected to be online by June 2019. At that time, the downtown shelter will close. But in the meantime, Litvack says, after a recent round of low-income tax credits, the city is looking at an additional 200 permanent supportive housing units in the next year or two, on top of other affordable-housing projects that were already in the pipeline. "Addressing the capacity is addressing affordable housing, which is where we want the focus to be," he says. "All of us system-wide want it to be on the housing." Shelter the Homeless Executive Director Preston Cochrane acknowledges the capacity concerns are valid, but he's optimistic that an influx of affordable housing will alleviate the need for more shelter beds. "It's definitely an issue. It's something that the Shelter the Homeless board is looking at," he says. "We're looking at our partners. We're looking at other ways that we can make sure there's deeply affordable housing so that we can have people that are utilizing the services ... get in and get out as quickly as possible so they're in more permanent supportive housing or a better circumstance." Many in the neighborhood, such as Theodore Cowan, however, are asking the city to adhere to a strict cap. Cowan is vice-chair for the Central City Neighborhood Council, a community body that's been nudging the city to include additional cap provisions in its conditional-use documents. "We want language that says this homeless resource center can serve its 200 clients but cannot serve more," he said. "There's a bed limit of 200 people. That's already in the language of the conditional use. We want additional language in the conditional use, like, 'You cannot create a public dining place. You can't serve people food in excess of those 200 clients who are clients of the resource center.'" Unlike other communities, the Central City Neighborhood Council didn't oppose the construction of a resource center moving in, but members wanted to ensure the new facility would fit into the existing neighborhood, and the biggest concern centered on camping. Cowan believes that enforcing a hard cap on amenities offered at the shelter will prevent folks from camping on the street nearby and using the shelter as a spot to dine and receive services. Founder and principal of AJC Architects Jill Jones confirms her office has attended several community open houses and forums to take input from the communities. They've also chatted with homeless folks who weighed in on what might make the shelters successful, which include kennels and other provisions for service animals. "We've had great input on what to do in the courtyard. We've had great input on bicycles," she says. "For an example, bike racks. They said the pieces and parts get stolen by the hour." To counter the problem, the shelter will include indoor bike storage. Salt Lake City Police Sgt. Sam Wolf says detectives have been assisting planners to ensure the area is safe. The police have suggested plants that don't obscure officers' vision, and they think the enclosed shelters will help keep drug lords from infiltrating the new areas like they have at the Rio Grande shelter. "Theoretically, yes, we are trying to mitigate potential problems at these resource centers so we don't duplicate what's happened at the [downtown] shelter," Wolf says. "We all want that—cops, citizens, business owners, we all want that."